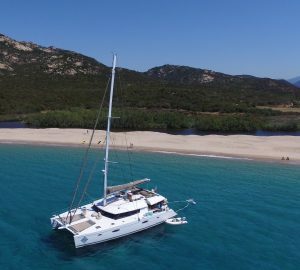 The Salina 48 Sailing Catamaran is designed by Fontaine Pajot and available for luxury bareboat charters in the Greek Islands of the Mediterranean. 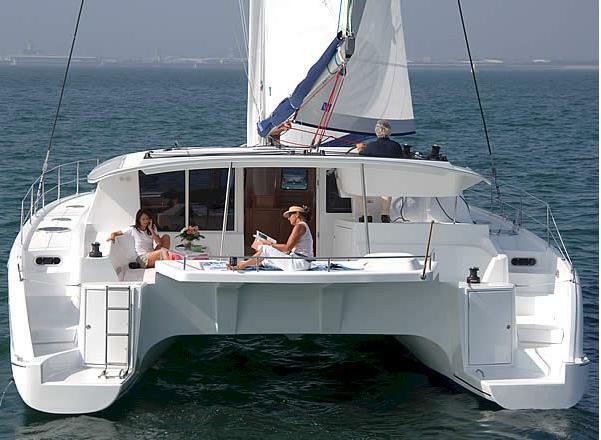 An extremely capable offshore catamaran, the Salina 48 is ideally suited to blue water cruising. 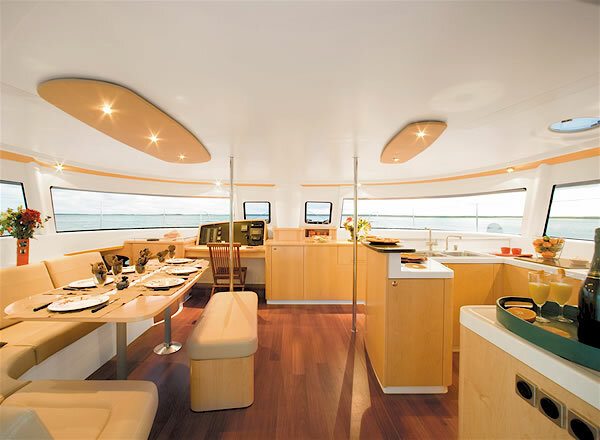 This yacht will accommodate up to 12 passengers and has 4 private staterooms and two convenient side berths. 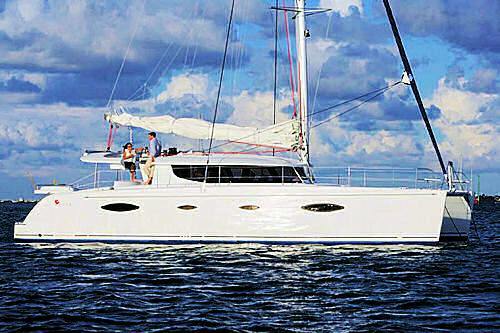 It is an update on the enormously successful Bahia 46. 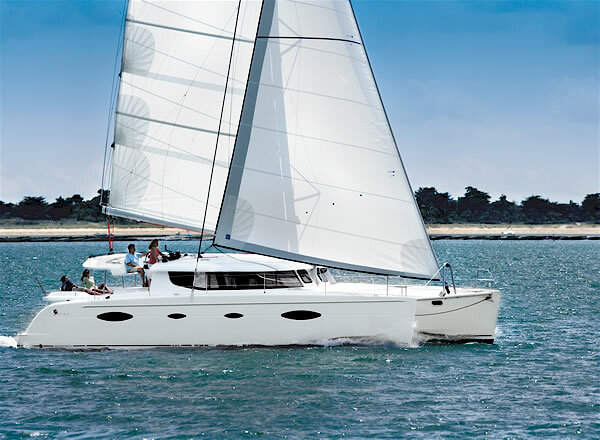 There are few vessels available for bareboat hire that can accommodate more than 10 people and the Salina 48 offers comfort and style for up to 12 making it the best choice for large groups. Each of the four cabins possesses magnificent sea views from the spacious portholes and each has ensuite bathrooms with separate showers. 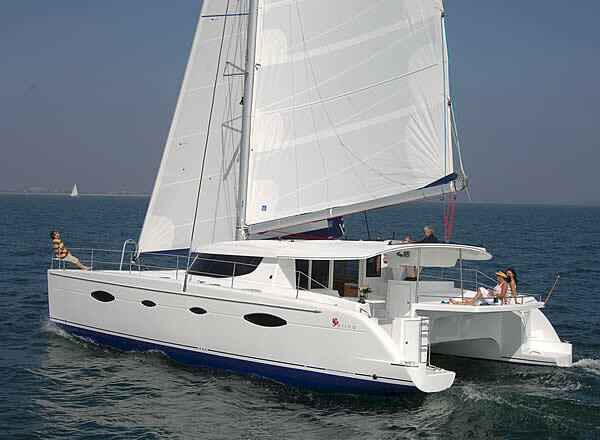 This catamaran is ideal for entertaining with its extensive social areas comprising of a card table facing the sea, an L-shaped kitchen featuring a revolutionary new refrigeration system, an indoor dining table plus exterior corner lounge. 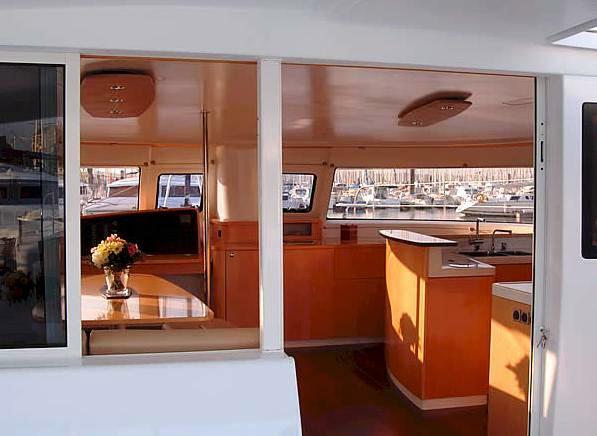 The spacious aft cockpit with outdoor dining table makes it ideal for alfresco dining. 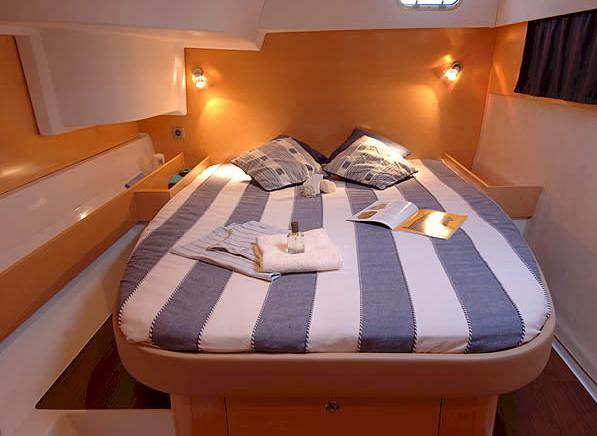 The Salina 48 has four spacious double cabins with ensuite bathrooms and separate shower areas. 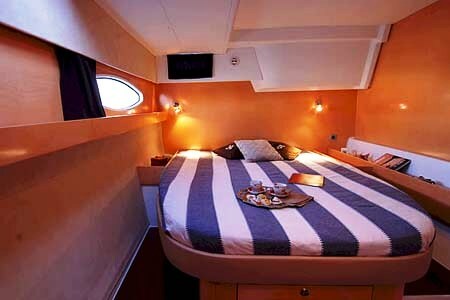 There are also two single side berths in the passageways. 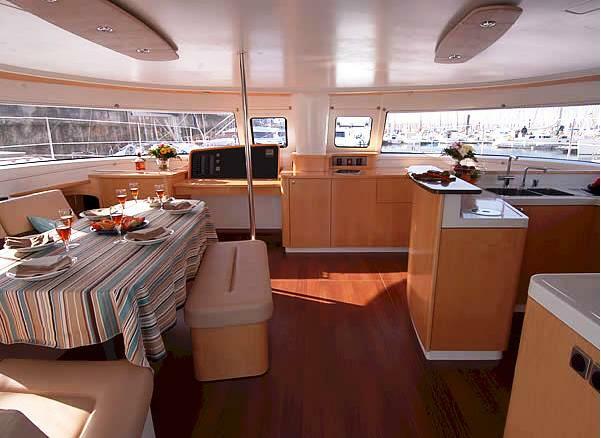 This yacht features a spacious galley and cockpit area as well as an expansive deck and has plenty of space for 10 -12 people to relax and dine.